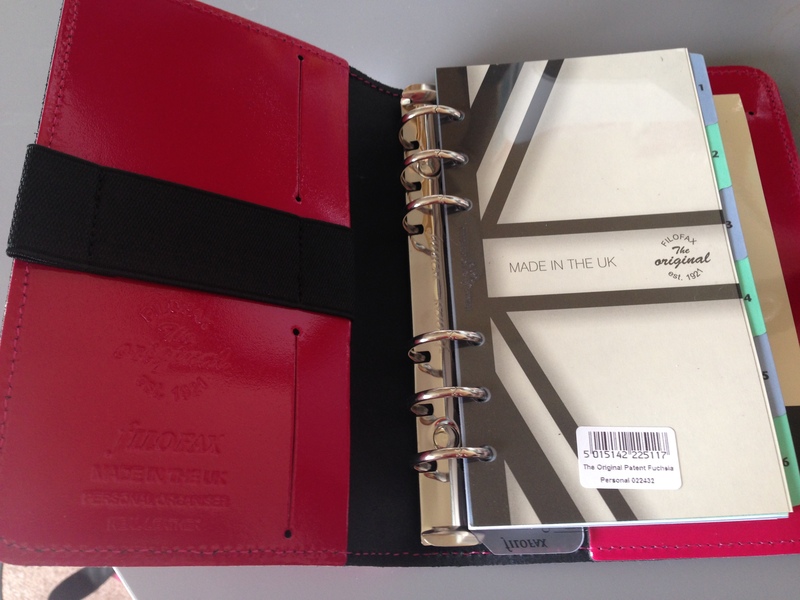 So after buying my new Livework planner I may still have continued looking for planners. 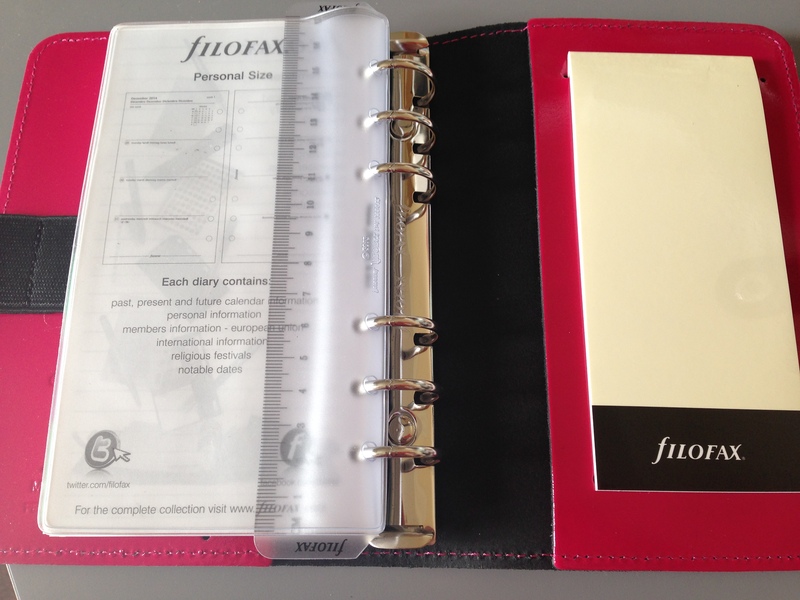 As much as I loved my new planner, I still had an urge to get my first Filofax. 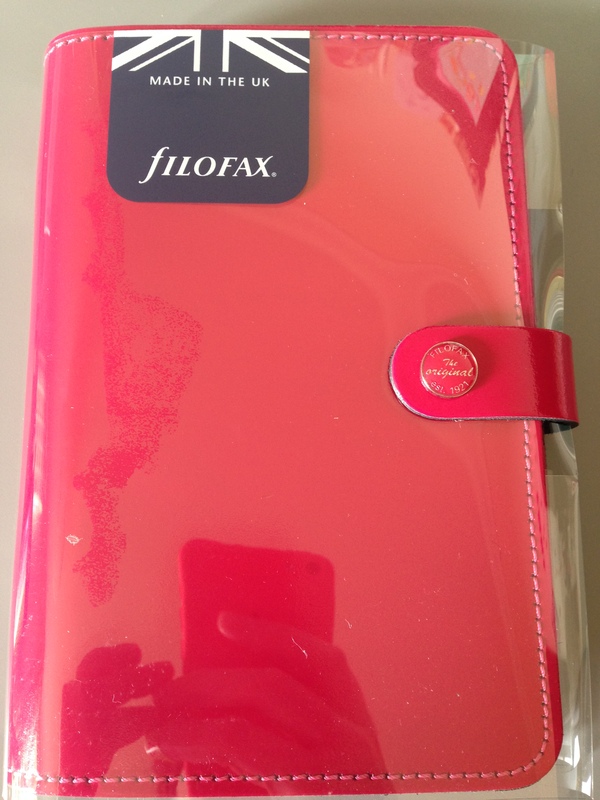 The only current design I like is the Original but I was struggling on colour choice until I saw the patent fuchsia. Although it’s a bold pink which I usually shy away from, I could see from reviews that it was a nice deep colour and not too bright. I then found it for 30% off and knew I had to have it! After two days of excitement it finally arrived! So pretty! And although it comes with a full 2015 set of inserts, the shop also provided inserts for the rest of this year which was a very nice touch. 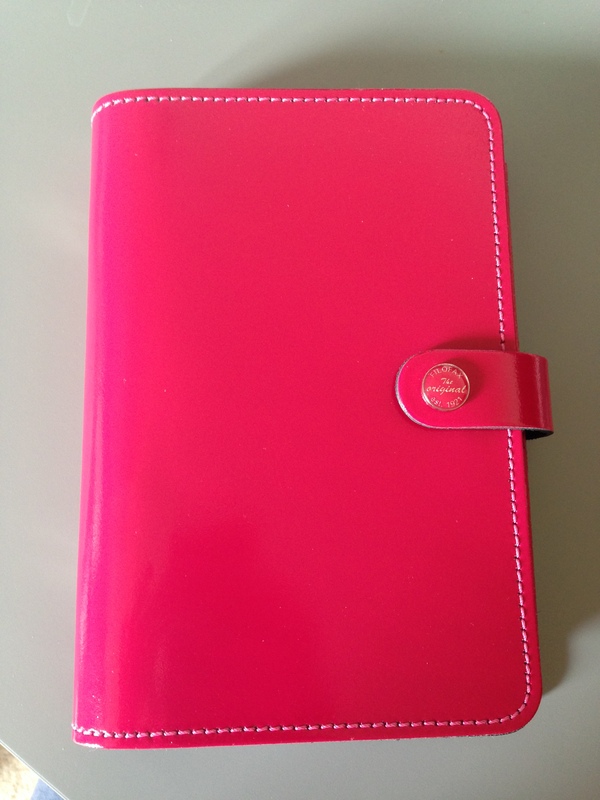 This shot actually makes the planner look brighter than it is. I like the range of pockets and my phone does fit in the middle of the strap which I like as I normally keep my phone in my current planner during work. The only annoying thing is when I removed the sticker on the dashboard it left a bit of a mess. I don’t like the dividers that come with it – but I knew I’d be buying new ones anyway. 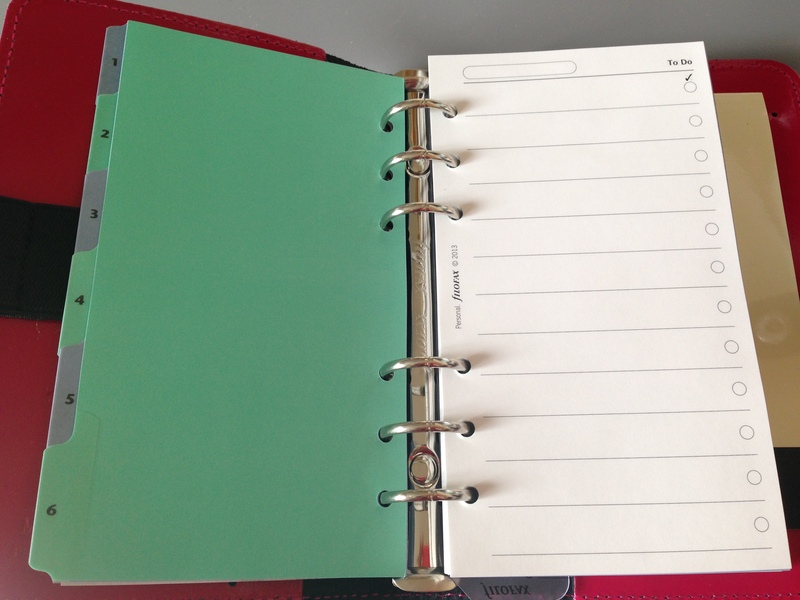 The todo sheets and various plain and graph paper are nice but I couldn’t help but notice how thin they are. While I like the 2014 inserts that came with the planner, I’m not so keen on the 2015 inserts (the days of the week in four different languages and the date in a circle are my biggest issues) but I’ve had my eye on a few from Etsy for a while that I’ll be replacing them with. 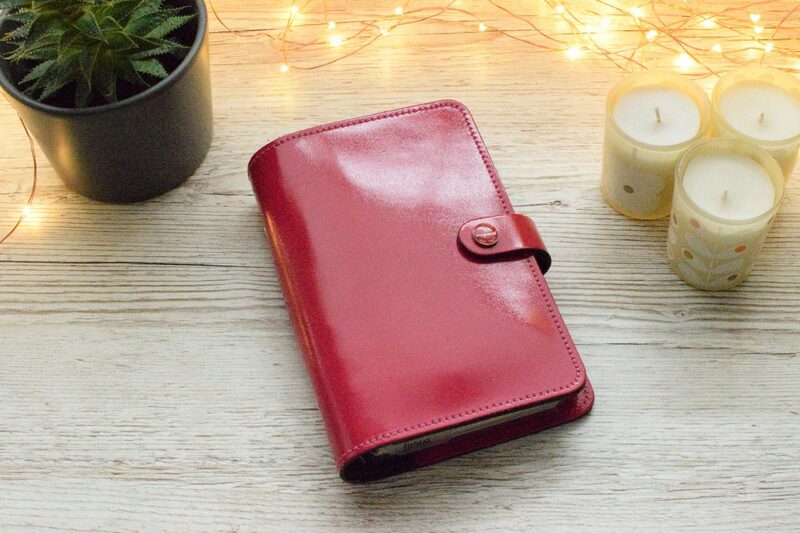 The notepad in the back is a bit random but handy and I like the clear pocket (that you can’t really see with it being clear). I can’t wait to start using it but first I need to get it set up properly with new dividers and inserts… I can see a big haul on Etsy coming up! My only real concern so far is how stiff the opening button feels. When I’m opening it I do kind of worry that I’ll break it but I’m sure that’ll go once I’ve worn it in.